If Drug Copays Have You Down, Check For A Coupon : Shots - Health News Makers of about half the top brand-name prescription drugs now help subsidize consumers' out-of-pocket costs. The assistance can cushion the financial blow for patients but encourage the use of medicines that are more expensive for insurers. A few months back I went to the doctor to make sure some ribs I broke while biking were healing OK. And, like a lot of patients, I dropped the old line, "Oh, and there's one more thing I need to ask you about," just as we were wrapping up. Drugmakers are helping consumers with copays, but is it such a good deal? It was new doctors, and I needed a prescription for a daily brand-name medicine I've taken for years. Well, the doctor not only wrote the prescription, she also gave me a card supplied by the drugmaker to help defray the copay. That last bit I wasn't expecting. But maybe I should have been. There are coupons or subsidy cards to reduce copays for about half of the top 100 brand-name drugs sold in this country, according to a recent report from health analyst Richard Evans at Sector & Sovereign Research. Some of the drugs with deals include cholesterol-fighter Lipitor and the heartburn pill Nexium and Aciphex, according to Evans' report. By offering the help, drugmakers are able to neutralize, to some extent, steeper copays your insurance plan may have put in place to steer you to a preferred drug. That's often a generic or a brand-name medicine the plan gets at good price. The assistance is limited to people with private insurance. 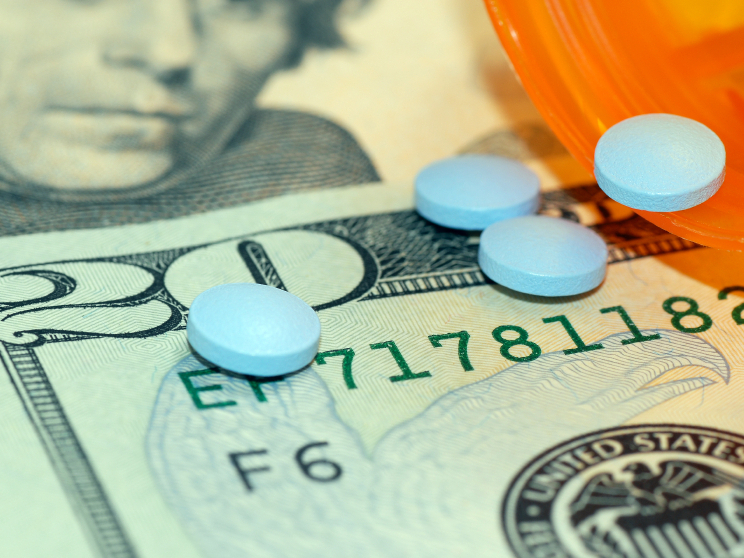 A Kaiser Family Foundation survey of employer health plans last year found that the average copay for the first tier of drugs, usually generics was $11. From there, they went up to $28 in the second tier, $49 in the third tier (more details here). Copays in the lower tiers have gone up a lot in the past few years, too. Even small differences in copays can have a big influence on people's choice of medicines. That's why insurers and employers have used them to encourage use of medicines that may cost them less. There's been a lot of criticism of the cards for circumventing that system, as the Wall Street Journal and NPR's Planet Money reported in 2009. Makers of brand-name drugs have said doctors and patients should make a choice of prescription drugs without being swayed by the costs. Still, when it comes to the costliest drugs, the direct subsidies for patients bely big financial hits to employers and insurers. A winning strategy for drugmakers is "to price their drug as high as they possibly can and offer that copay assistance broadly” to protect patients, biotech analyst Joshua Schimmer told the New York Times earlier this week. For me, I've tried a popular generic rival to the regular medicine I take, but it didn't work as well. I'd cough up the full copay, as I have in the past, for the usual medicine. But when i filled the new prescription and used the card I saved about $6, which I'll probably blow on a couple of fancy coffees.